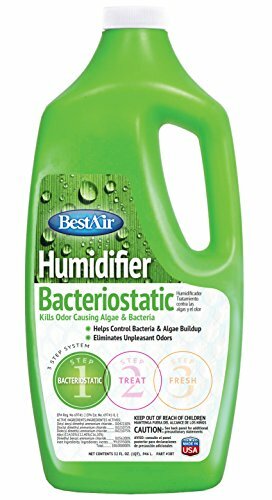 Original BT humidifier Bacteriostatic water tart; 32 ounce original BT humidifier Bacteriostatic: helps control bacterial and algae build up. Eliminates unpleasant odors. Improves the effectiveness of your humidifier and wick, maximizing the humidity released into the air. Reduces odors caused by bacteria growth. Made in the USA.